It's Halloween and time for another round of outrage over inappropriate costumes. Once upon a time, parents -- most of them, anyway -- were concerned with oversexualized costumes for little children, but how unenlightened was that? Today we're focusing our energy on what's really important. Now it's all about "cultural appropriation." White children need to "own their privilege" and not dress up and pretend to belong to a non-oppressive race. 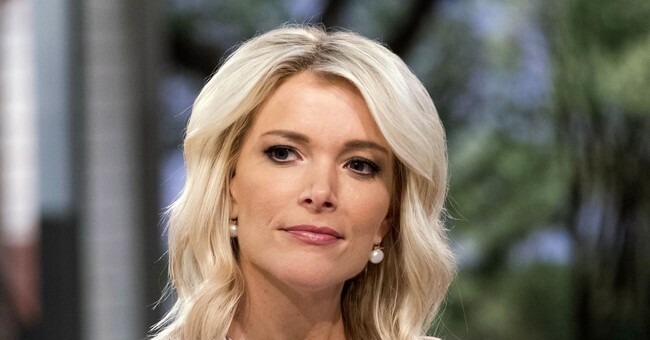 Megyn Kelly ran afoul of NBC's "diversity/inclusion" police, and as we write this, it looks like she'll be canned for saying: "But what is racist? Because truly, you do get in trouble if you are a white person who puts on blackface on Halloween, or a black person who puts on white face for Halloween." Oops. The word "blackface" is loaded and should be avoided, since people immediately think of minstrel shows, and kids shouldn't dress up as Al Jolson crooning "Mammy" in "The Jazz Singer." Kelly continued: "Back when I was a kid, that was OK, as long as you were dressing up as, like, a character." She was tongue-lashed on air. It might have been a better starting point to ask if it's offensive for a white boy to want to be Black Panther for a few hours. And if that's wrong, can a Person of Color be Superman? Can a white comedian impersonate a black man? If not, then can a black man not poke fun at white people either? And what does it say about white people that when that happens, we ... laugh? Oh, the intolerant preachings of the tolerant left. CNN analyst Kirsten Powers is one of these obnoxious people. The other day, she tweeted: "Dear white people who are upset that you can't dress up as another race or culture for Halloween: your feelings don't matter. The only feelings that matter are of those who feel disrespected/mocked by you appropriating their culture for entertainment. Show some common decency." This is the same Kirsten Powers who wrote a book in 2015 titled "The Silencing: How the Left Is Killing Free Speech." Back then, she worked for Fox. Back in 2015, after Powers' book came out, then-Yale lecturer Erika Christakis sent an email around campus suggesting Halloween used to be a time for children to be a little naughty or subversive. She wrote about Disney princess costumes, saying: "it is hard for me to give credence to a claim that there is something objectionably 'appropriative' about a blonde-haired child's wanting to be Mulan for a day. ... I wonder what is the statute of limitations on dreaming of dressing as Tiana the Frog Princess if you aren't a black girl from New Orleans? Is it okay if you are eight, but not 18?" She even concluded, "Whose business is it to control the forms of costumes of young people? It's not mine, I know that." Nearly 1,000 students, faculty members and deans called for both Christakis and her husband, Dr. Nicholas Christakis, a Yale professor, to be fired immediately for this alleged offense. She stopped lecturing, and her husband resigned some duties at the end of the school year in 2016. Powers actually spoke to the Christakis incident (and others) when she was a Fox News analyst in November 2015. She said, "It is not actually that anybody is in any danger." Bill O'Reilly added, "It is oppressive to hear somebody with an opposing point of view." Powers replied, "Exactly. ... They talk about it as if they've been actually physically attacked, because somebody has expressed an opinion different than theirs." Now re-read that tweet of hers. You have our permission to laugh -- quietly. There's nothing wrong with Halloween spurring a "teaching moment" for children, but what is being taught? Leftists want to use these costume controversies as just another grenade to destroy the careers of anyone asking them a single challenging question about how to negotiate their minefield.